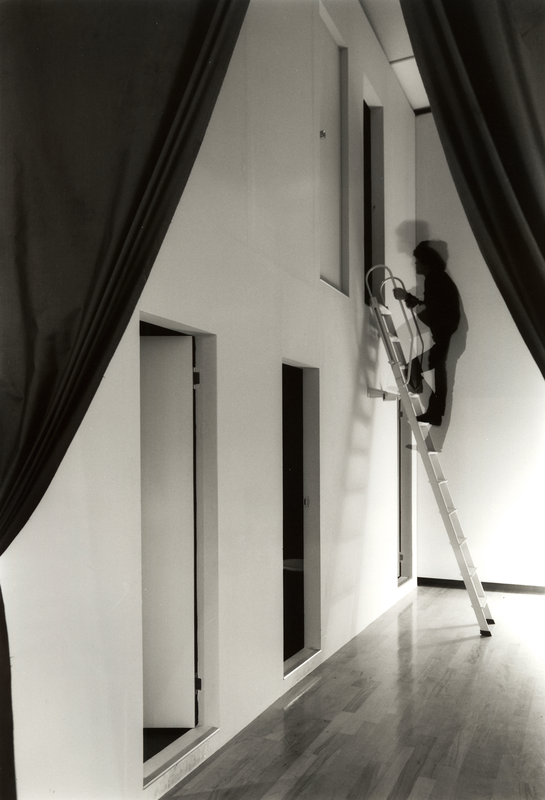 Five different shapes of frame(s) were hung on a six meters-high wall by two stages. There were several life-size people moving in each frame by projection. 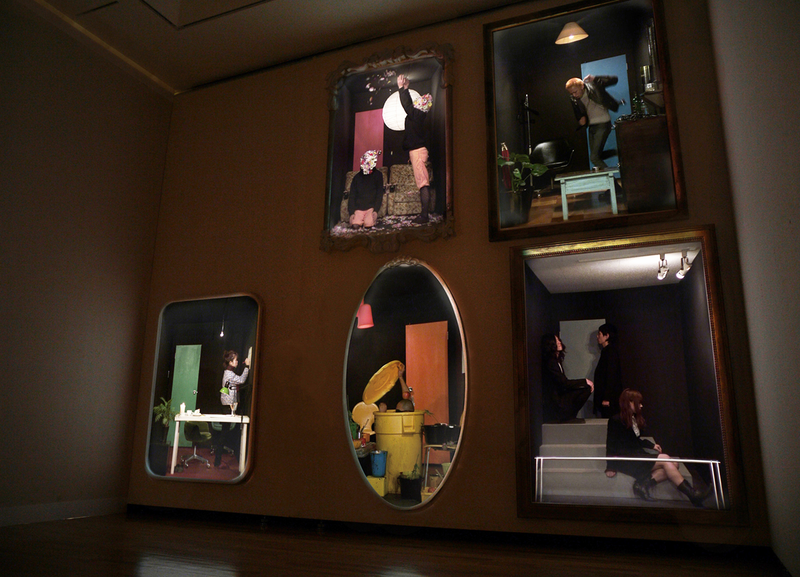 About eight meters from the frames, there were physical five rooms that looks the same with the videos. 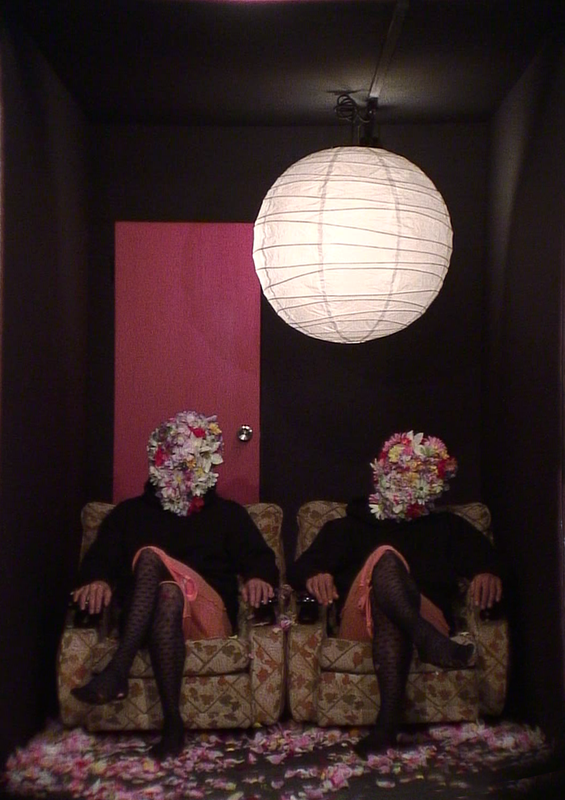 Audience could enter physically, and they began to know about the history and origin of how it’ll be in the present time. You couldn't see the next rooms by the structure, but you can find what was happening in the next rooms by the videos in the frames. 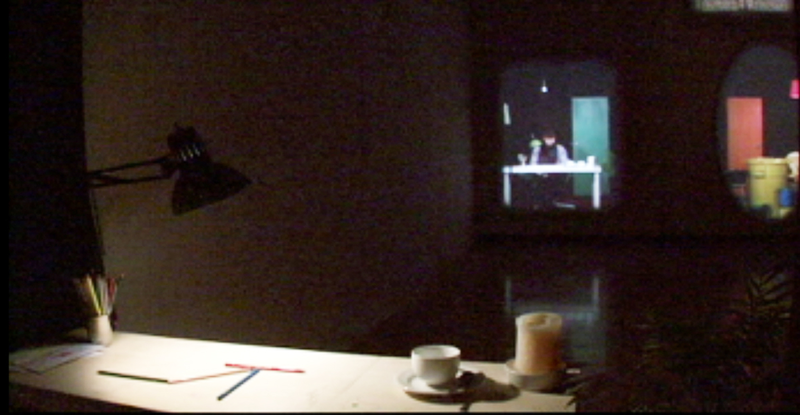 The lighting system between videos and the real spaces were synchronized. 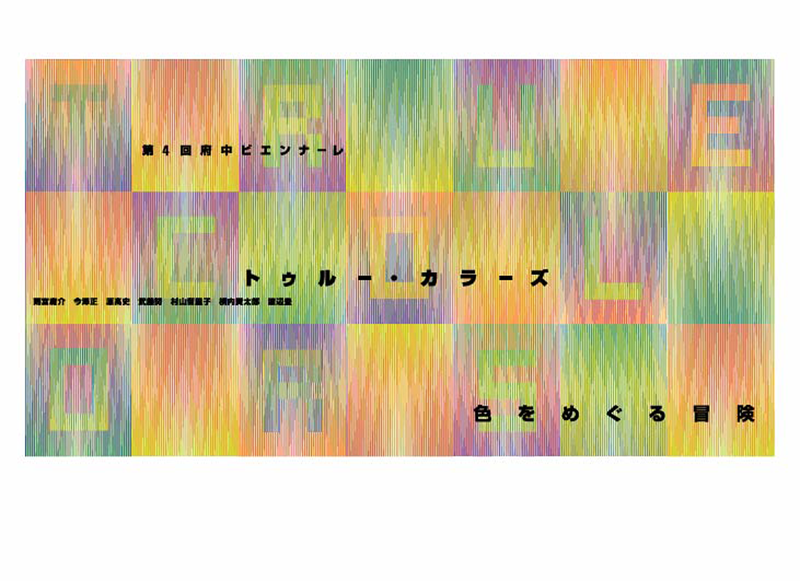 Fuchu Biennale features emerging artists who are below age 40 and associated with the Tama area. This is the 4th biennale, taking "color" as its theme. As various aspects of life become digitalized, artificially produced colors are beginning to occupy everyday life. 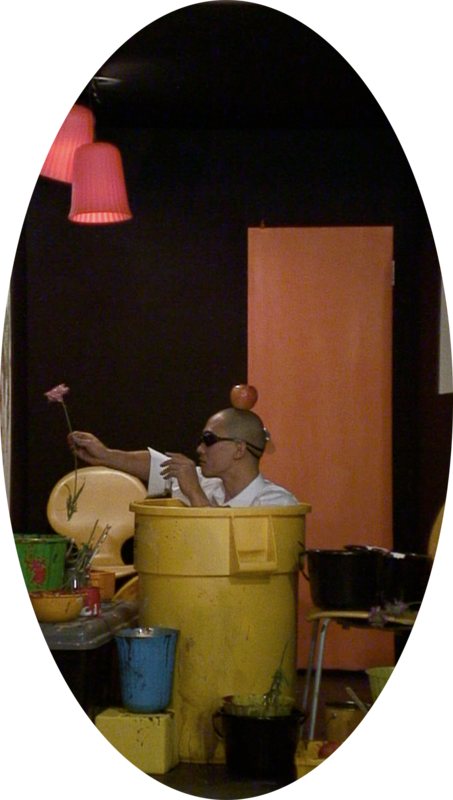 Digital manipulation made it possible to produce all kinds of colors, and yet this technology has brought about a homogenization of aesthetic values that are originally unique to each color. Such phenomenon can be tied to the blending that culture and society have gone through in today's globalized, commercialized world. This exhibition aims to readdress the meaning of colors in the context of art. Seven artists who demonstrate particular color usage and make distinctive decisions with colors were chosen to address new expressions using color and the possibilities of art. In Japanese, "iro," meaning "color," is also used to refer to "individual character," which cannot be simply translated into digits. Through works by these young artists who susceptibly respond to the changing condition of life, we can investigate the underlying meaning found in the notion of "color", and reflect upon the "true color" we all possess. all starting at 14:00. No reservation required, but admission ticket to the exhibition must. Feat. Yosuke Amamiya, Ryuta Osawa, Natsumi Sakamoto, Takuya Kaiso, etc.